New ground isn’t broken solely by professionals with dozens of years of industry experience. Sometimes, it takes a spark of independent creativity to introduce a fresh ingredient into a genre, and that’s exactly what happened in 2011 when Coffee Stain Studios released Sanctum on PC. A student project that melded first-person shooting and tower defense, Sanctum managed to inspire future strategy games by mixing two genres not often associated with one another. The sequel, Sanctum 2, may not bring about a revolution in game design, but with the help of a bigger budget and further development time, Coffee Stain Studios has polished its formula to a beautiful shine. Lead designers Oscar Jilsen and Armin Ibrisagic made it out to PAX East this year with a new build of their hotly anticipated sequel, and while its conceptually similar to the developer’s first project, Sanctum 2 feels like much more than just a cleaned up, iterative product. The demo includes all four unique character classes and their respective gear. Each archetype can be equipped with a swath of perks and fancy rifles, allowing players with specific combat needs to discover ideal play styles. If you’re looking to stay back and pick enemies off from a distance, there’s a sniper for that. Close-range combat is an option, too, as well as everything in between. But it’s not the customizability that caught my eye. Upon entering the first map, the leap in the game’s presentation from the developer’s first release was difficult to ignore. Sanctum 2 looks like a project prepared to wow crowds on its big-budget visuals alone, but it would be a mistake to write it off as just another pretty face without a distinctive voice. The fundamentals established in the first game remain intact: gather resources, create a path by forming blocks in a desired square of the map, construct turrets in advantageous locations and unleash the bloodthirsty horde. From there, it’s up the player to provide support for the mounted guns fighting to keep the core of the base safe from waves of enemies. It was a novel concept two years ago, and with tighter controls and smarter AI, all the potential sensed in the original Sanctum feels fully realized on this second attempt. The moment-to-moment action is quick, involved, and most importantly, fun. Even those who never had a chance to experience Coffee Stain’s first release should feel right at home with Sanctum 2, as both a smart tutorial and accessible control mapping make the learning curve quite generous. My lack of strategic dexterity didn’t even hold me back, as I found a smart way to lead the menacing troops all the way around my map of choice and directly into a sea of hot lead. Sure, your abilities will be tested later in the game, but even strategically challenged individuals can find some early success. Competitive and cooperative modes will be available at launch, and players will also find a full story-driven campaign at the heart of this downloadable title. Coffee Stain was badgered by its fans to include a narrative in its next project, and the developer is now happily obliging. Unfortunately, little is known about the themes and character arcs tackled in this mysterious single-player mode. 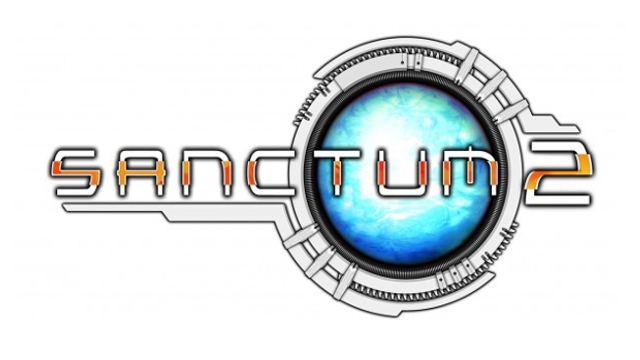 A date is yet to be set, but Sanctum 2 is turning out to be an exciting prospect for downloadable markets like Steam, XBLA and PSN. There are strategic facets present that will require players to own more than a strong background in first-person shooting to succeed, but that aspect of the game shouldn’t turn any interested players away.The tower-defense elements are simple and intuitive enough to grasp before frustration sets in, and the stunning presentation is reason enough to experience a few waves of terrifying foes.